Wedding Business SEO Enrollment Now Open! Today, I’m thrilled to share an amazing program from my friends Brenda and Shea. I find time and time again that SEO is an overwhelming topic for my colleagues, friends and clients- and with good reason! That’s why I couldn’t be happier that this great resource is now readily available to the industry. And full disclosure- I don’t receive a dime for singing their praises. I was just excited about the launch and offered to spread the word! Statistically speaking, Google is consistently one of the top ways that engaged couples find their wedding vendors. So while SEO strategies should absolutely be a part of every wedding professional’s marketing strategy, it’s an overwhelming concept. 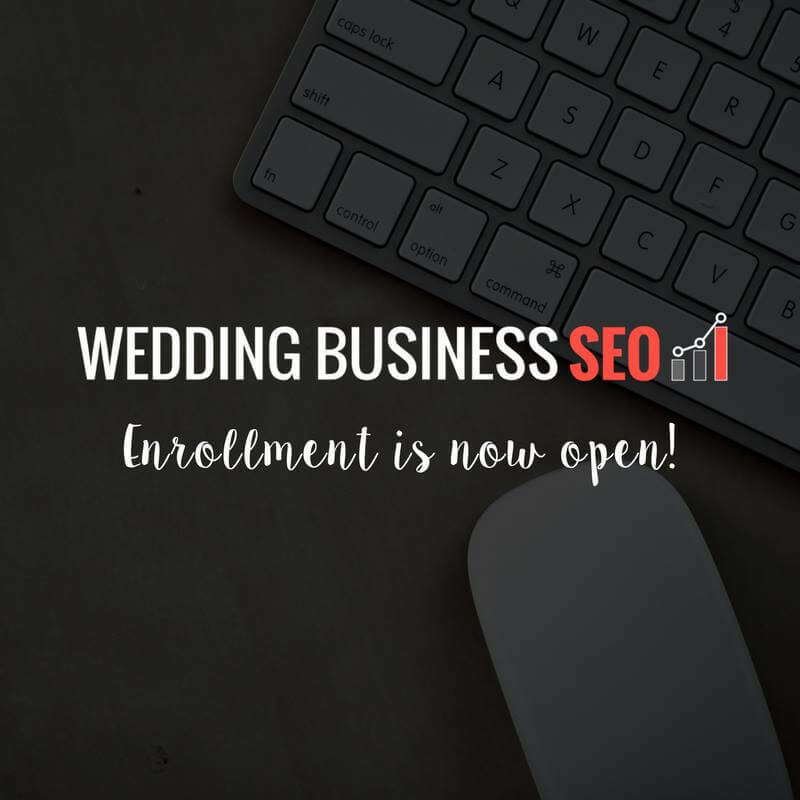 If you are DIY’ing your search engine optimization and you’re feeling stuck, or frustrated, or like you’re pretty much winging it most of the time, I’d encourage you to check out a new program that Shea Bailey and Brenda Cadman have just launched today called “Wedding Business SEO”. They designed the course to specifically help wedding pros tackle your SEO, increase your website traffic, and get seen online… all without feeling overwhelmed or wanting to pull your hair out! What I love about Shea and Brenda is that they know small businesses well and are able to tailor their education so that the idea of mastering SEO (and reaping the rewards as a result!) is obtainable. Full info is available at WeddingBusinessSEO.com! And a heads up that there are only 50 spots available and they’re already being scooped up- so check it out today.